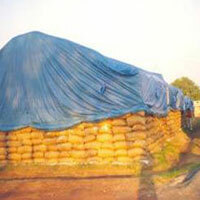 Fumigation Covers Manufacturer in Delhi, Fumigation Covers Supplier in Delhi, Fumigation Covers in Delhi. Fumigation Covers in Delhi,Fumigation Covers Manufacturer in Delhi,Fumigation Covers Supplier in Delhi. Madras Canvas Manufacturing & Supplying high grade of Fumigation Covers. These Fumigation Covers are manufactured by using premium & high quality of raw material, which these are able to stop or barrier between harmful elements of nature or climate & used in covering material. Seed processing industries use Fumigation covers. Clients can take these Fumigation covers in varied length, Sizes & Color as per customized need.